Janne started work as an economics teacher in 1978, after completing her degree at Sydney University. She started her financial planning career in 1987, then in 1992 she joined Westpac as a financial planner in Port Macquarie. 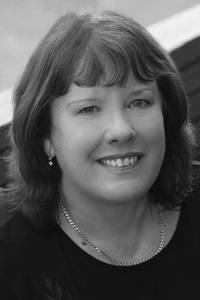 Janne progressed through to executive manager, and continued her career at Westpac when she moved to Sydney in 1997. After 12 years at Westpac, Janne decided to start her own business, Plan Protect. Janne is an Authorised Representative of Godfrey Pembroke. Janne Ashton has been featured in The Sydney Morning Herald, The Telegraph and The Age for the quality of her financial planning and won many awards with her former employer. She is a regular contributor to the Northern beaches publication Peninsula Living. "We are always adapting to changes in the market, so that our advice is relevant to the economic conditions", says Janne. "We also take into account legislative changes and adapt our client’s strategies and portfolios to use the legislation to best advantage." "We are best known for the financial security and peace of mind that comes from our great advice. We have saved people thousands of dollars in tax, improved cash flow, created wealth and protected our clients from financial disaster caused by death or disability. “We regularly have comments from our clients about the warm welcome they receive when they visit our office and how much they enjoy coming to see us." Janne has written a book called "The Windfall Club". This is an easy to understand, step-by-step guide that provides education on what to do when you receive a financial windfall from retirement, an inheritance, redundancy, compensation payment, divorce settlement, insurance claim, sale of business lottery win or income from a career as a sports person or entertainer.